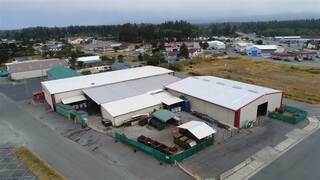 Total of 5 buildings includes commercial office/storage with 4 finished offices, break room, 2 baths, cooler, loading dock, and open warehouse space. Trustee has updated interior spaces and repaired roof. Currently working with County to merge parcels. Structures: 1,848'; 7,800'; 8,400'; 3,150'; 3,848' covered carport. Fully fenced property. This listing includes land and buildings only. Calling all Business Owners and Entrepreneurs! Opportunity awaits! Five commercial spaces totaling over 12k sqft, one space already rented and four vacant spaces. This building currently houses "Far East" restaurant. The other 4 vacant spaces are set up for offices/doctors offices, salon and restaurant. A lot of potential for rental income! Located on the busy corner of Northcrest and Washington this building has a lot of exposure for new and existing businesses. Call to make an appointment today! The property consists of 2 bars & 1 cafe. The Turf is a local favorite that has a pool table & band stand for karaoke. Elevated bar stools line the windows that overlook Beach Front Park. There is 2460 sq ft & lots of storage for goods.Everettes is the larger of the 2 & has a "club" atmosphere.It has 5640 sq ft with a large bandstand & DJ station.Tables & booths line the dance floor. The cafe has been rented for $625. per month. Turn Key Business Opportunity! 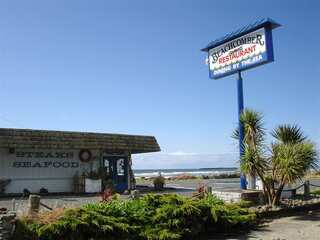 Tsunami Lanes Bowling Center is located on approx. 1.02 acres of highway frontage. Long established, bowling entertainment center offers steady cash flow from a consistent and loyal customer base. Aprrox. 14,848 square feet , this venue features 16 lanes, Bar and Eating Area, Locker Storage and has ADA compliant bathrooms. 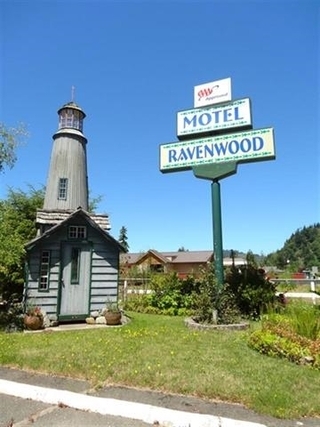 Ever want to own your own business?Ravenwood Motel & Suites is the perfect solution. Owners unit is upscale as ALL the units and suites are.The garden area is a special place for guests to have the morning coffee & bagel or in the dining area.All furnishings come with the sale including ice-maker, coin operated washers & dryers & linens. Ravenwood is the gateway to the Klamath River basin with world class fishing & recreation. Make your dream come true. 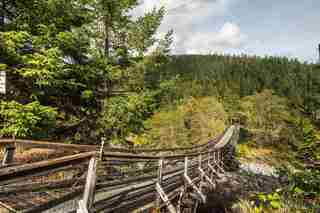 Live & work in the majestic Redwoods! What a fantastic opportunity to Live, Work & Play on this Magical spot right next to the charming Patrick Creek! Own your own business, a fabulous & very popular Patrick Creek Lodge, that includes 16 rooms, a vacation rental home, a personal residence, full bar & restaurant, liquor license & all personal property. You own the buildings & the business & just pay a very low lease to the Forest Service. Superb Hwy visibility, plenty of parking, room for large venues such as weddings, corporate/church events. PANORAMIC REDWOOD VIEWS FROM EVERY HOLE ON THE ONLY GOLF COURSE IN THE COUNTY, REGULATION 3,121 YARD, PAR-36, 9 HOLE COURSE PLUS DRIVING RANGE, DAILY-FEE COURSE COVERS 95.07 ACRES, NEWLY REMODELED CLUBHOUSE IS 4.576 SQ. FT.. THREE STORAGE BUILDINGS TOTAL 5,000 SQ FT. CLUB HOUSE IS REMODELED AND UP TO ADA STANDARDS. 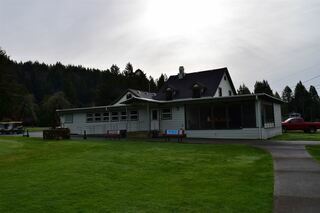 PANORAMIC REDWOOD VIEWS FROM EVERY HOLE ON THE ONLY GOLF COURSE IN THE COUNTY, REGULATION 3,121 YARD, PAR-36, 9 HOLE COURSE PLUS DRIVING RANGE, DAILY-FEE COURSE COVERS 95.07 ACRES, NEWLY REMODELED CLUBHOUSE IS 4,576 SQ. FT.. THREE STORAGE BUILDINGS TOTAL 5,000 SQ FT.
One of the largest Industrial properties in the area. 11.48 acres, currently used as a trucking business. AND out of the coastal zone. A small portion is leased for additional income. Many opportunities for various industrial uses, such as storage, auto wrecking, trucking, automotive and more. Includes a nice building with 3 offices, 3 bathrooms, a drivers room, large shops, work ares and so much you have to see to believe. Owner may carry with the right amount down. Don't miss this opportunity. OPPORTUNITY ZONE INVESTMENT OPPORTUNITY, âVISIONâ, 37 Luxury unit ocean front condominium project. Full construction renderings for entire project, CADs, city water, sewer connection, mitigation fees in place. Property is currently an office building with 2013 appraisal 1 million. 2019 now selling with luxury time share and multi family approved condominium and unit project. The project is approved by the City of Crescent City & CA Coastal Commission. Beach Front, with direct access, unobstructed Views. 695 US Highway 101 S.
Page rendered in ~0.124 seconds using 1.7 MB of memory.